Petition Join the Green Mo' Revolution to get our healthy food into hospitals! Join the Green Mo' Revolution to get our healthy food into hospitals! Join the Green Mo’ Revolution to get our delicious, healthy food into hospitals! Do you believe nutritious food is essential for helping people heal and regain their health? Would you like the option to purchase health-promoting food as a patient, visitor or health care worker within a hospital? Do you believe that 100% organic, plant-based, nutrient dense food can support healing in those who need it most, and is the best fuel for hard working, busy staff? If you answered YES to any of the above, then Join the Green Mo’ Revolution! Our mission is to have a Green Moustache in every hospital, giving you the healthy, healing food options you need. The Green Moustache serves 100% organic, plant-based whole food meals, smoothies, juices and desserts. We source as locally and every item is made from scratch, just like grandma used to do. We have an opportunity to open a Green Moustache cafe in local BC hospitals. This would mean that our nutritious meals, beverages and desserts would be available to health care workers, patients and visitors. We want to help people achieve optimum health using food as medicine, and we want it to be readily available to those who need it. Our produce is fresh and pure, always in its most natural form. This means no preservatives, processed, canned, sulphured or prepackaged products. We don’t use any food colourings, preservatives, or flavourings, GMOS, ice or other fillers. We restrict the sodium in our meals, protecting your heart and cells. Our focus is nutrient-dense food that provides your body with the essentials it needs to heal, repair and thrive. 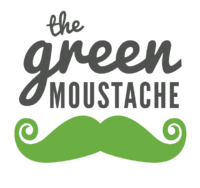 We are asking you to sign this petition to support our bid to have a Green Moustache café in BC hospitals. Together we can show British Columbians, health authorities, and government just how much people like you want to have organic, plant-based whole food options in hospitals, and how important it is for people to have access to food that helps them heal. Thank you for your support! Let’s get healthy food in hospitals!